^ Smith, Ian (10 January 2016). 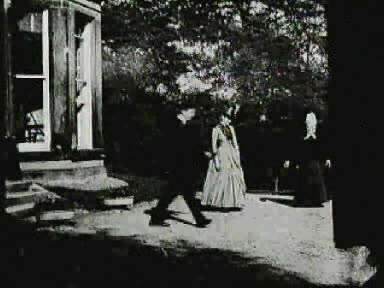 "“Roundhay Garden Scene” recorded in 1888, is believed to be the oldest surviving film in existence". The Vintage News. https://www.thevintagenews.com/2016/01/10/roundhay-garden-scene-is-believed-to-be-the-oldest-known-video-footage/. ^ Youngs, Ian (23 June 2015). "Louis Le Prince, who shot the world's first film in Leeds". BBC News (BBC). https://www.bbc.co.uk/news/entertainment-arts-33198686. ^ "Monumental Inscriptions at St. John's Church, Roundhay, Leeds". Louis Le Prince Centre for Cinema, Photography and Television University of Leeds. (The University is near to the site of Le Prince's former workshop which was located at the junction of Woodhouse Lane and Blackman Lane).